Klipsch originally used these as their K-69. I have a pair of the BMD-750s to try on a pair of JBL 2365. That the volumes I listen, I think even the long throw horn will be ok. In Europe the big diffraction horns like the 2360/2365, old Altecs, Communitiy etc. are still quite populair and therefore expensive. 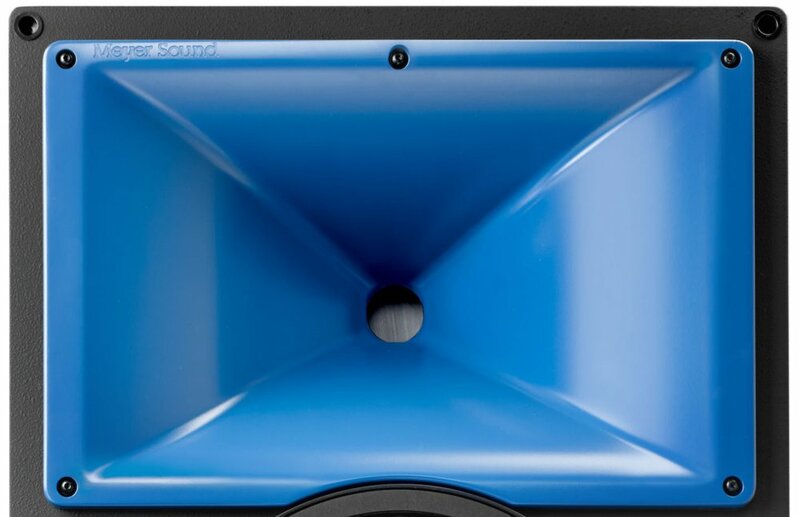 Evidently, the K402 is in another league compared to the EAW horn. Are you all saying that the horn in photos in the original first post of this thread is an EAW horn? 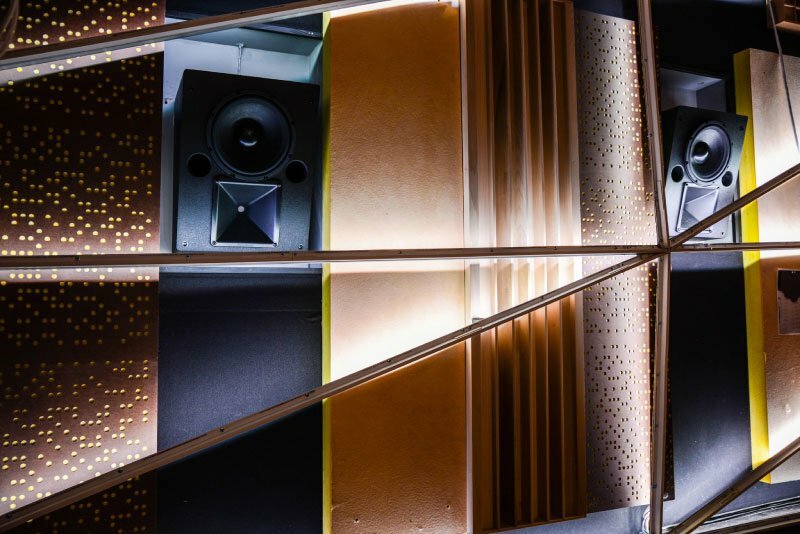 The horn from the first post is a diffraction horn used in the two legacy Klipsch Cinema Systems that are still on the Klipsch site. The discussion then moved to whether these types of horns are necessarily bad, hence the example of the EAW horn. I have no idea about that horn. I just was referring to it as an EAW. Apparently, it was really used by Klipsch. So, a Klipsch design? I just was taken back because I thought I had seen most or all of the Klipsch horns............but never saw this one and I have the same speaker system. So it surprises me. I always thought the predecessor to the K402 and 510 in an MCM system was the 1900 horns. I've checked some similar large format horns from other brands, but none is exactly identical. The one that comes closest is from the TAD Cinema systems. These horns were supposedly made by Community. 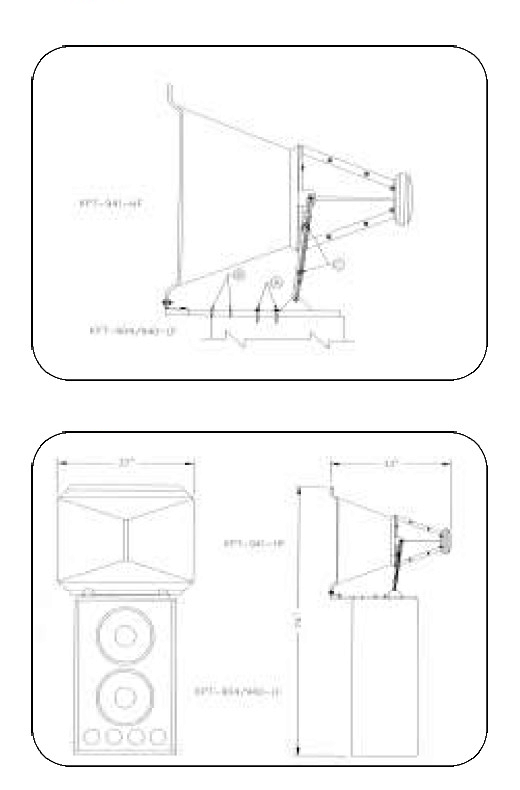 The left and right MCM stacks have the KPT-941-T-HF Tractrix Horns. I am certain these horns were originally designed by Klipsch to meet THX specifications for large cinemas, probably during the end of the 1990's. It's the K402's predecessor. The mouth area is supposed to be tractrix. It appears to consist of an asymmetrical hybridized geometry, of which the vertical walls - top and bottom - follow a nearly straight line from the throat. This is typical for conical diffraction horns, but the KPT-941 is one of a kind, because these are most likely the only large format tractrix diffraction horns on the market. The horizontal section (left and right walls) is more akin to the K402, albeit with a different expansion (flare) rate due to the slot. Member @deafbykhorns owned KPT-941's, sold the cabs but kept the horns. With its "projected beam" this horn won't match the "roomfilling openess" of the K402 and it'll likely sound a little thinner at the lower end of its range. On the other hand, it's still a big horn and more efficient than the K402. Because of the long and narrow throat section, the wavefront won't loose much of its energy (pressure) until it reaches the mouth. This can be either a good thing or annoying, depending on the compression driver, XO-slopes, EQ, output level and evidently the quality of source material. Changes are, you'll "discover details you've never heard before". Is it a CD horn? Without details available it's conjecture, but bearing in mind the THX certificate, I guess it's safe to assume these are constant coverage horns. Speaking of which, apart from the mouth, the KPT-941-T-HF doesn't seem to deviate all that much from the JBL 2360. Another reference would be the Electro-Voice HP9040. EV's HP9040 and 6040 are (still) very impressive with regards to coverage/directivity, which is controlled from 400 Hz upwards, both vertically and horizontally. I believe you are correct that it was related to THX design. "I﻿ ﻿was looking and realized that I hadn't answered your question jc. The 941 which was originally called the 9040 and had two other brothers, the 6040 and 4020 (bet you can't guess what the coverage patterns were), was our first horn used to get thx approval. Back then the network was passive and so the horns had to be﻿ a certain length. I really do not like diffraction slot horns but I needed one for the thx competition so I figured if we are going to make a diff slot horn, why not try to make the best one. After thx went to active crossovers, the slot wa﻿s﻿ no longer needed and the 402 replaced it. That slot made a big difference in the sound. I believe two things were going on at the time, THX certification and a competition for the design and installation of sound systems at the two theaters/stages located at Skywalker Ranch. They of course got the THX Certification for commercial theaters, but what Roy didn't mention in his response is that Skywalker Ranch was apparently impressed as they bought two commercial systems, a KPT-941-T and a KPT-535. During that period, Klipsch obtained a large share of the Commercial Cinema market. Yes, for the 5 across the front, the original subs were all Meyer, I can't remember what they had for surrounds. When I got a chance for a second look more recently('14? ), all of the TAD was taken out and it it is all Meyer now. I wonder if this decision was marketing related, induced by technological progress, or both. Meyersound delivers turn key products with SOTA active amplification + DSP. However, I doubt the raw drivers will better the TADs. The Archeron horns from the EXP series are nice, but way too small for large theatres. In reference to what @Chief bonehead said about the requirement of active crossovers for the K402's, the same goes for the Meyersound Archerons. 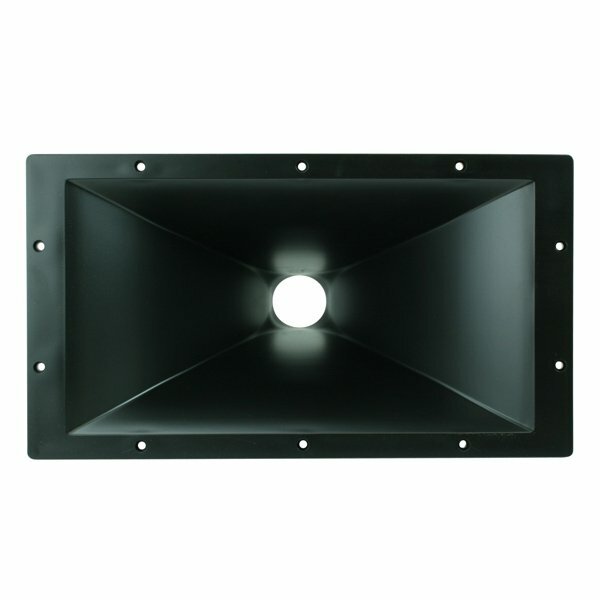 So they either use the side channels for infill, custom large format horns or line arrays. I﻿ ﻿wonder if this decision is marketing related or because of technical progress. I don't know for sure,.I suspect a bit of both based on very limited observation. I do know that Meyer and George Lucas go back a long ways, back to the late 70s when they used his dual 18 powered subs for Apocalypse now (the Century Theaters in the Bay were Lucas' beta labs and so we were lucky to see all of this stuff). 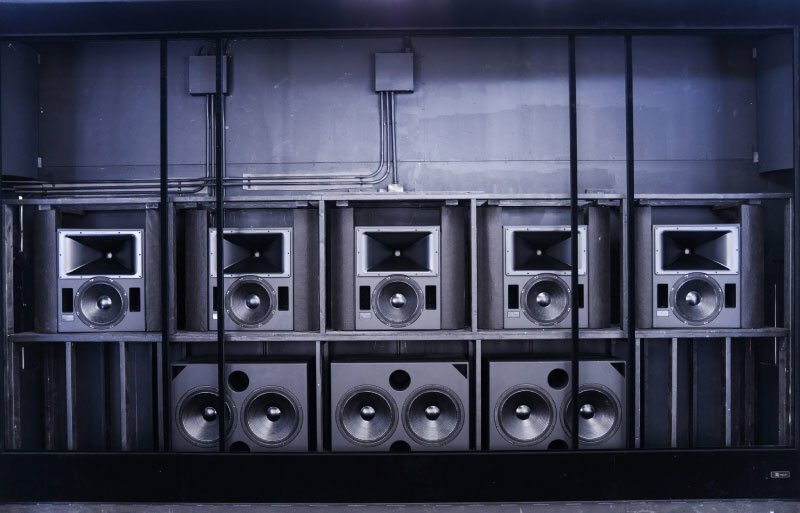 The original set up in the Stag were those TAD speakers you showed, but with Meyer 18" Subs. That was like a 8 or 9 channel system. 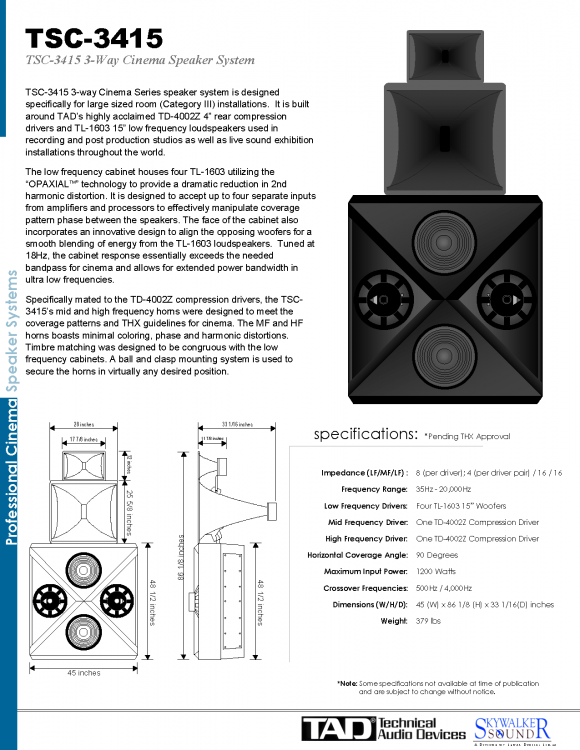 The pitch then was that the TAD Speakers were developed by an in house engineer at Lucas Sound in conjunction with Pioneer/TAD and after they finished that project TAD decided to add that product to their line. The 2nd time I saw it was when ATMOS was coming on line, and the demo was a native mixed ATMOS movie. Lucas and Dolby were partnered, so there is some marketing, but ATMOS was/is the latest greatest technology. The Stag is small, about a 50 foot.screen, but they went from the 8/9 channel to 24 surround channels, 10 ceiling channels and the 5 fronts, with the Meyer tuning system. Needless to say, it was mind blowing.